After I was finished with my morning rituals, I go into my studio and the first thing I saw was Gwenn Seemel's video , "Why people commission portraits". I loved it so much that I watched it several times. My heart began to melt at the 11 second mark when she began to talk about the number one reason above all others why people commission art was making special. I swear her face lit up! You can tell she creates art from her soul. Here's the video. Please take a moment to watch it. It's relevant to the rest of my story. One of the things I normally do when I start my studio day is begin doing something, anything. This morning it was varnishing several pieces I had done earlier and putting Polymer medium on canvas panels. Then I go to my computer to check emails. 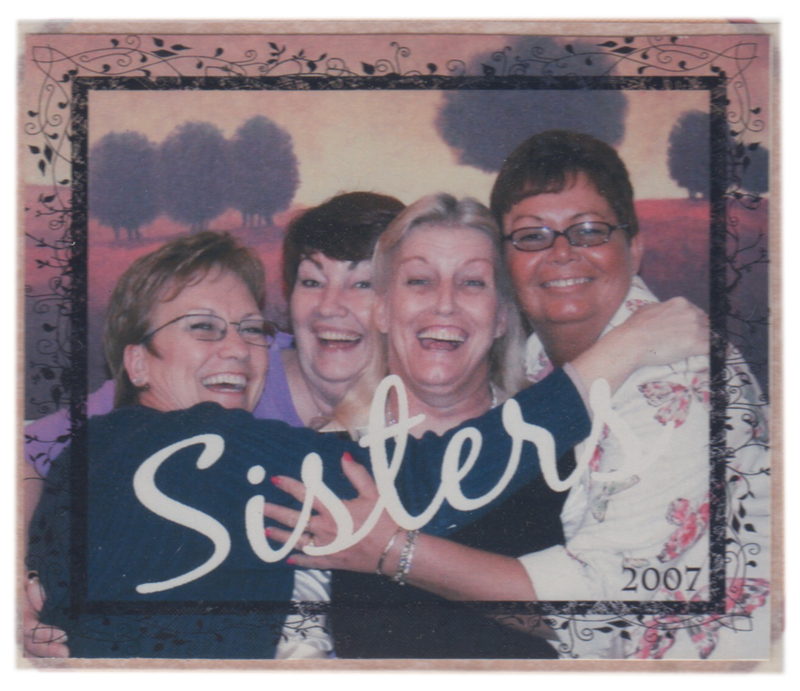 Above my computer monitor is a photo that was taken at Christmas time 2007 of me and my sisters. It's been hanging in the same place for a very long time. laughing at the stupid stuff. Needless to say, it's 10 years later and things are not the same. Judy is no longer with us and Bonnie is confined to a wheelchair. 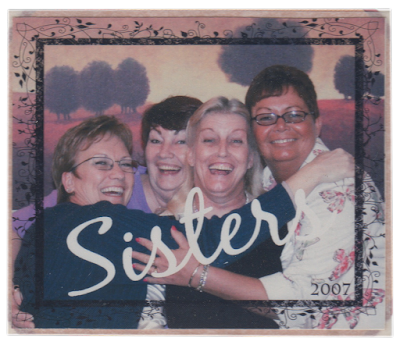 Thru my tears, I feel an incredible pull at my heart to create a piece of art of me and my sisters. So I followed my heart.